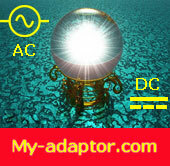 Result Pages: << Previous 1899 1900 1901 1902 1903 1904 76121 - 76160 of 76160 items for New Laptop AC Adapter. 19V 3.42A AC adapter for ASUS L1. 19V 2.64A AC adapter for ASUS L1. 19V 3.42A AC adapter for ASUS A1. 19V 2.64A AC adapter for ASUS A1. 19V 2.64A AC adapter for ASUS PA-1700-02. 19V 2.64A AC adapter for ASUS ADP-50SB. 12V 3A AC adapter for ASUS Eee Videophone AiGuru SV1. 12V 3A AC adapter for ASUS R2Hv. 12V 3A AC adapter for ASUS R2H. 12V 3A AC adapter for ASUS R2E. 12V 3A AC adapter for ASUS Eee PC 900. 9.5V 2.315A AC adapter for ASUS Eee PC 900. 12V 3A AC adapter for ASUS HU-120300. 12V 3A AC adapter for ASUS ADP-36EHC. 12V 3A AC adapter for ASUS 90-NGVPW1013.